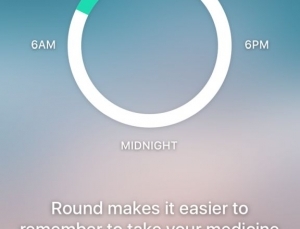 Medication entry is pretty straightforward. 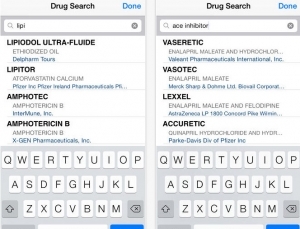 Patients start by typing in a drug name. 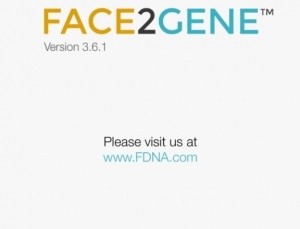 The Face2Gene app allows healthcare providers to analyze patient photos for specific facial characteristics that could be related to a genetic disorder. 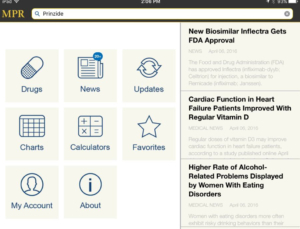 Virtual Bar App is an informative tool for patient and healthcare student education on the factors that impact blood alcohol content. 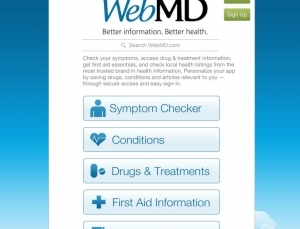 The WebMD app includes something for everyone. But is it trying to do too much? 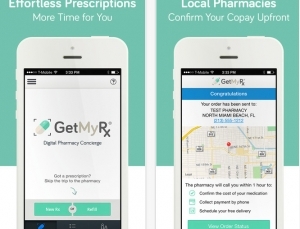 GetMyRx is a great idea, but the execution could stand some significant improvement. 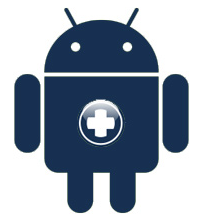 The app does not provide comprehensive information or any sense of references used. 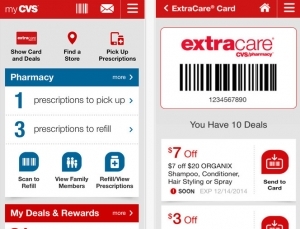 The CVS app is a pharmacy app that offers some basic services for patients but falls short of some of its competitors. 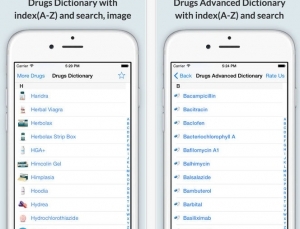 Drugs Dictionary Offline is designed for the layperson to use for information on prescription and over-the-counter medications. 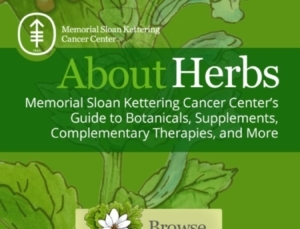 About Herbs includes info on herbs, supplements, and alternative medicine techniques. 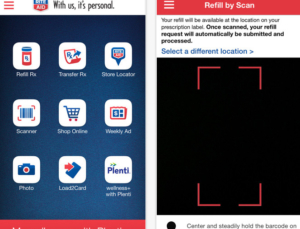 Rite Aid offers a nice, basic app for prescription management and pharmacy shopping that streamlines mobile pharmacy services for its patients. 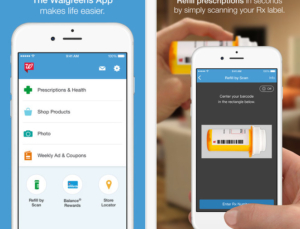 The Walgreens app is useful & worth recommending, particularly for patients who are routine pharmacy customers. 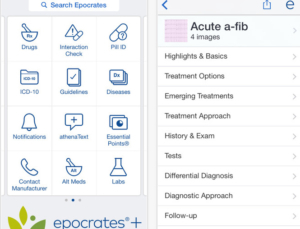 Epocrates continues to hold its place as a must-have drug info app for healthcare providers or students. 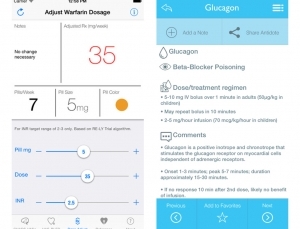 One of the best features of MPR is the clinical charts organized according to disorder. Find out if this should be your go to drug reference. 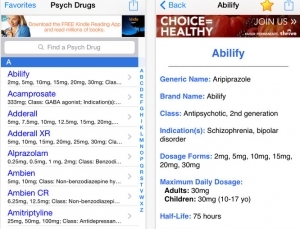 Drugs and Medications App: Is the Information Reliable? 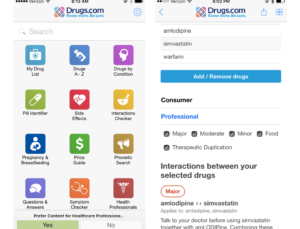 Drugs & Medications has neat features, but not enough robust info to be used over other drug info apps. 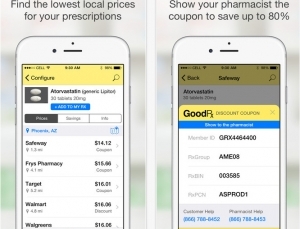 GoodRx is a mobile app and website that allows users to comparison shop for the best prices on a variety of medications. 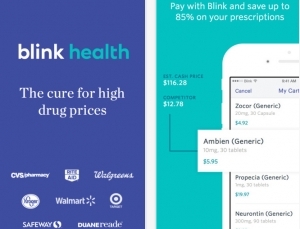 Review of Blink Health, an app designed to help patients find cheaper prescriptions.